Over several weekends this October, scholars and staff from around our network gathered to participate in Breast Cancer awareness walks. They carried homemade signs, wore every shade of pink they could find, and in the Bronx, brought pompoms and plans for an impromptu performance. We invited them to reflect on their shared experiences. 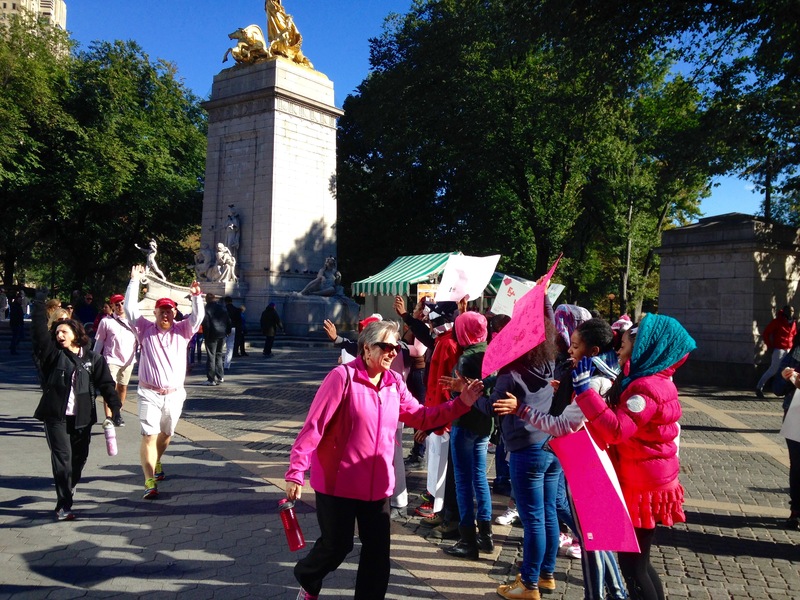 Our scholars at Democracy Prep Charter Middle School supported the participants in the Avon 39 Breast Cancer Walk in New York City. 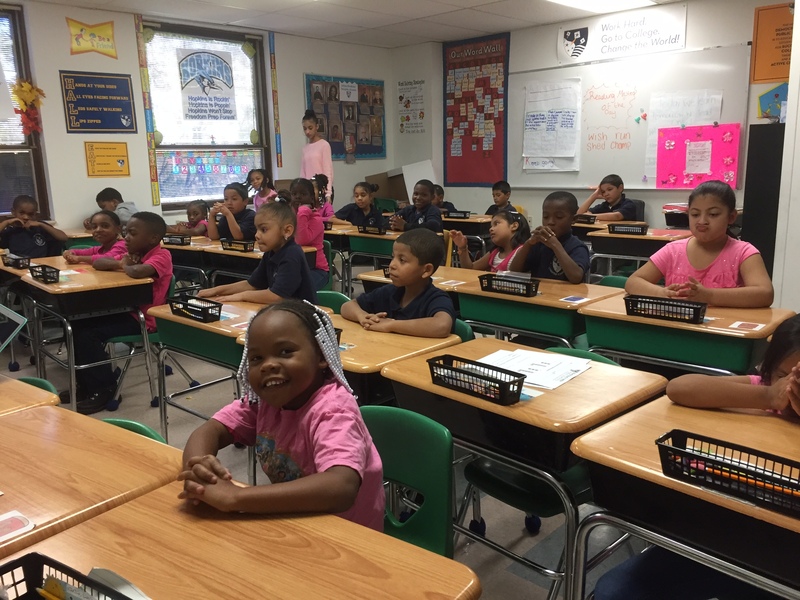 Our scholars at Freedom Prep Elementary raised money to donate and their teachers participated in the Making Strides Walk in Pennsauken, NJ. 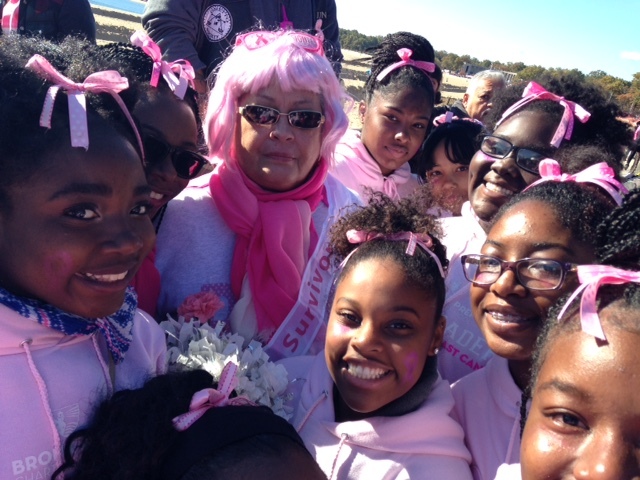 Our scholars and staff in the Bronx raised money and cheered on participants for the Breast Cancer Society walk in the Bronx. “Our varsity cheerleaders, Coach McEachern, Coach Levy and I boarded a school bus headed to Orchard Beach for the Breast Cancer Society Walk. It was cold but our cheerleaders were full of excitement and enthusiasm! Upon reaching our destination, the cheerleaders hovered together and came out chanting, “You are a survivor, you are going to make it!” while waving their pink and white pom poms in the air. We also shared words of encouragement with them, and serenaded them with a song.